Welcome to “the islands of eternal spring”! A name that practically prompts you to to start packing for the Canary Islands, a sunny archipelago located off the coast of Morocco. Don’t search for small yellow birds in the Canary Islands, because ‘Canariae Insulae‘ means ‘The Island of Dogs’ in Latin. It is said that the archipelago’s first explorers discovered a breed of large wild dogs they had never seen before. Or maybe the name refers to “sea dogs” – in other words, seals. It’s a mystery. The Greeks fantasized about these islands, claiming that the Gardens of the Hesperides or the last vestiges of the engulfed continent (Atlantis) were located there. Fascinated about the Canaries yet? Well, wait until you get there! A small paradise on earth, this seven-island archipelago knows no winter and offers you a warm summer. 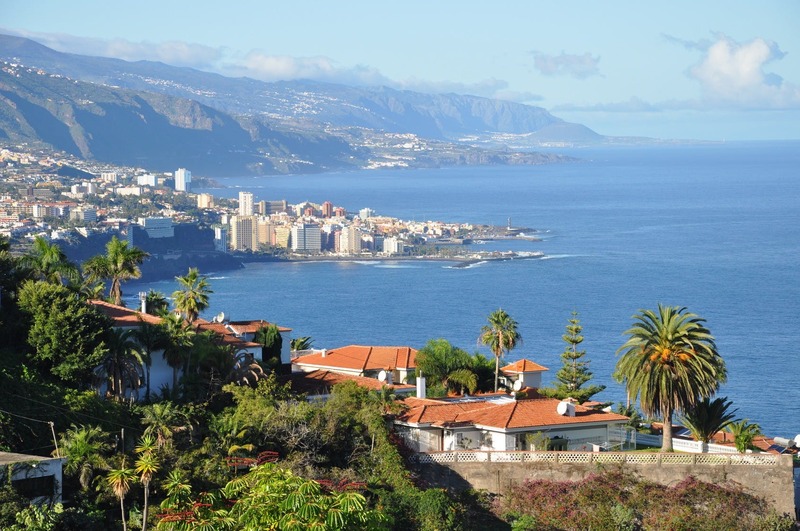 To the east, discover the riches of Fuerteventura and Lanzarote; the capital island, Gran Canaria; the volcanic Tenerife; and the smaller islands of La Palma, La Gomera and El Hierro. With its numerous deep valleys, rocky mountains and pine forests, the archipelago is the perfect spot for hiking and cycling enthusiasts. Marked trails cover most of the islands, with paths on the beaches and the hilly countryside. In Tenerife, hiking in the Masca Valley is a must-do to enjoy gorgeous views. As for water sports, there’s plenty to choose from.The wind-beated islands of Lanzarote and Fuerteventura are very popular for surfing, kite surfing and windsurfing, while the small coastal town of El Cotillo is one of the best spots to indulge in the pleasures of the wave. For those who prefer to relax, the Canary Islands offer gorgeous sandy beaches. To the northwest of Fuerteventura, you can enjoy the 10km beach of Corralejo, with a stunning view of the islands of Lobos and Lanzarote. On the latter you can discover the paradisiacal Famara beach, located at the foot of the cliffs. 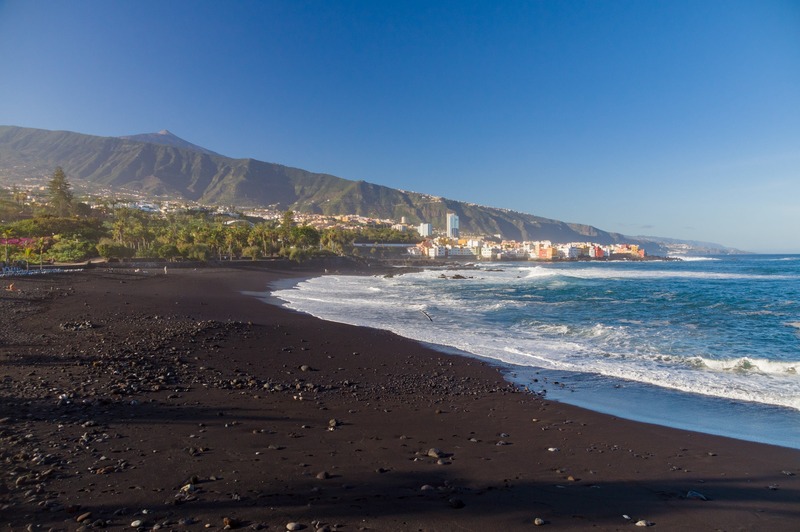 Unusual and magical, the black sand beaches of Tenerife recall the island’s volcanic nature, with El Bodillo being one of the most beautiful. On Gran Canaria, the elegant dunes beaches of Maspalomas juxtapose the urban and lively beaches of Las Palmas. With many natural parks, the island has preserved its environmental heritage. 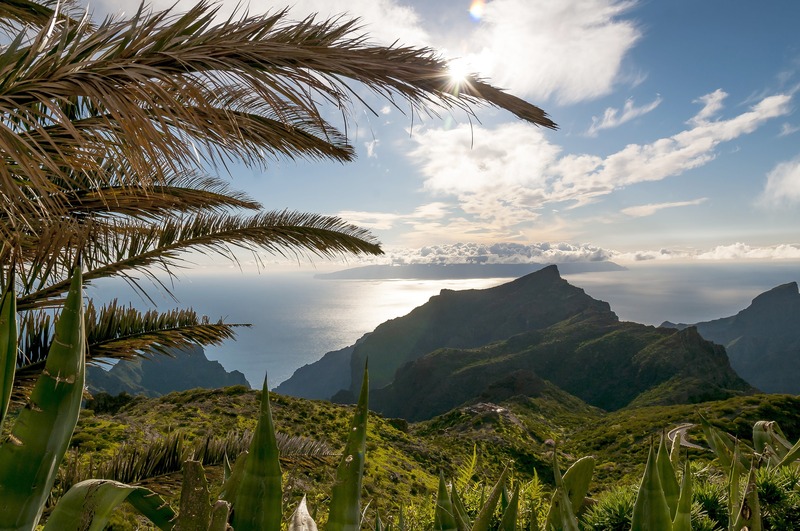 Moreover, UNESCO has classified a part of Gran Canaria as a “Biosphere Reserve,” due to its geomorphological and floristic richness. 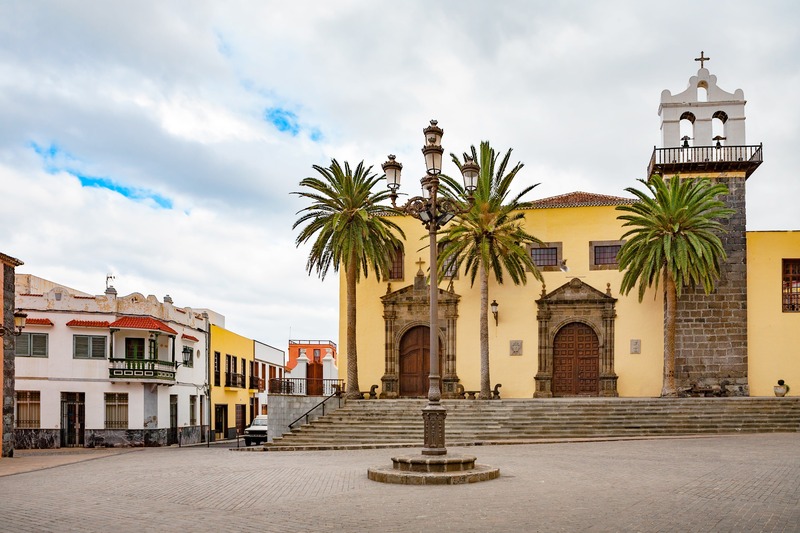 With multiple historical influences, the Canary Islands have managed to preserve their valuable archaeological heritage, thanks to numerous museums – especially on Gran Canaria. Contemporary arts are also well represented, thanks to Espacio de las Artes in Tenerife, a very modern and innovative art center. With music festivals, exhibitions, folk festivities, etc., the whole archipelago has a rich and vibrant cultural life. As for gastronomy, the Canary Islands have – despite a strong Spanish influence – their own identity. Lanzarote and Tenerife offer the best wines – particularly Tacoronte Acentejo, the first wine to obtain a controlled origin label. Don’t forget to try the delicious papas arugadas (wrinkled potatoes) and islands’ famous goat cheese. It practically goes without saying that the bounty of the surrounding sea also has been known to delight many a palate. Are you tempted? Discover the wonders of this hospitable, lively and majestic archipelago now.